Will the Mahdi Come Before Dajjal? What About Our Liege-Lord `Isa (Allah bless him)? According to what is indicated in various prophetic narratives (ahadith), the Mahdi (Allah bless him) will come before the Dajjal. In the Sunan of Abu Dawud it is stated that Imam Mahdi (Allah bless him) will be given allegiance by the people between the Black Stone and the maqam of Ibrahim (Allah bless him and grant him peace). The Dajjal will then come out and would later be met by Imam Mahdi and his army (after some prior conquests) in battle, as understood from the narration of Muslim. Mulla `Ali al-Qari also states in his Mirqat,that the Dajjal will come out during the time of Imam Mahdi, indicating that the Mahdi will already be present at the time. 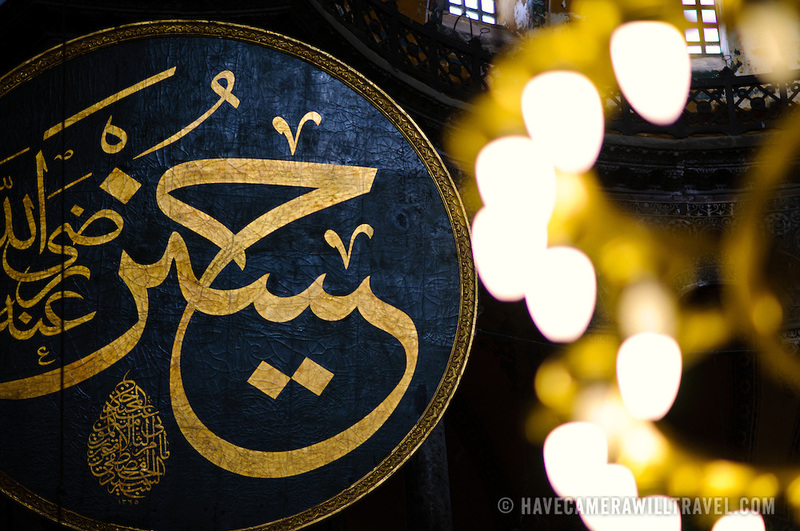 Imam Hasan (‘alaihi salaam) Leader of the youth of Paradise, Grandson of the Prophet ﷺ, was born on the 15th of Ramadan. Sayyidinaa Imam Hasan ibn Ali (‘alaihi salaam) the oldest son of Sayyidinaa Imam ‘Ali Asadullah Karam Allahu wajhahu and Khatuna Jannah Sayyidah Fatimah az Zahra ‘alaiha salaam, was born in Madinatul Munawwarah. He was extremely handsome (as his name suggests) and is known to have born a strong resemblance to the Holy Last Messenger Sayyidinaa Rasulullah Sall Allahu ‘alaihi wa Aalihi wa sallim. When the Companions remembered and yearned for Rasulullah Sall Allahu ‘alaihi wa Aalihi wa sallim, after his wisal, they would go and see Sayyidinaa Imam Hasan ‘alaihi salaam. After the martyrdom of Amir al Mu’mineen Sayyidinaa Imam ‘Ali al Murtadha ‘alaihi salaam, he succeeded his father in Khilafat, and then handed the reins to Amir Muawiya (Radi Allah Anhu) as foretold by Sayyidinaa Rasuli Akram (Sall Allahu ‘alaihi wa Aalihi wa sallim) thereby uniting two conflicting groups of Muslims. He performed Hajj 25 times. Like his honorable father Sayyidinaa Amir ul Mu’mineen Imam ‘Ali ibn Abi Talib Karam Allahu wajhahu, he was honored with Martyrdom [Shahadat] a mark of distinction which would become one of the salient features of the Blessed Ahl ul Bayt [alaihumus salaatu was salaam] when he was poisoned. The believers secretly hope and pray for martyrdom, desiring to leave this world in the blessed month of Ramadhan. 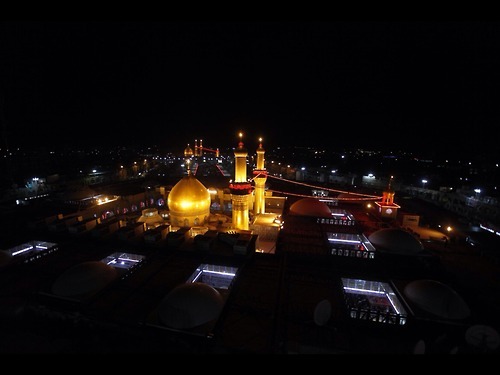 Along with Sayyidinaa Imam Hussain ‘alaihi salaam he is the leader of the youth in Jannat. A royal spirit escaped from a prison why should we rend our garments & how should we gnaw our hands. Since they (Hussein & the ‪#‎Ahlulbayt‬ ) are the Kings of the (true) religion, it was the hour of joy for them when they broke these physical bounds. Then Imam Hussain (RadiAllahu Anhu) handed over all the responsibilities to Imam Zainul Aabideen (RadiAllahu Anhu), placed the Amamah on the head of his son and made him lie down on the bed. Then he came to another camp, opened a trunk, took out the armour and wore it. He then took the Amamah of RasoolAllah SallAllahu Alaihi wa Sallam and put is on his blessed head; took the shield of Sayyedina Ameer Hamza (RadiAllahu Anhu) and covered his back; hung around his neck the blessed sword ‘Zulfiqar’ belonging to his father, the lion of Allah, Hazrat Ali RadiAllahu Anhu; took the spear of Hazrat Jaffer Tayyar RadiAllahu Anhu, and wore the belt of his brother Imam Hasan RadiAllahu Anhu around his waist. The members of the family were watching this sight and knew very well that their leader was going to take leave from them for a long time. The army of Allah was to lose their commander. The women who had already lost their husbands were about to lose their only protector and guardian. His children were about to become orphans. There was no consolation for them but only tears in their eyes as they bid farewell to their master. Here was a fighter who had been starving for the past three days and had attended to the bodies of his cousins, nephews and his own sons. Now he descended onto the battlefield, looked the enemy in the eyes and made some final remarks. After praising Allah and his Rasool SallAllahu Alaihi wa Sallam, he continued on and said, ‘O people! The Prophet you believe in has said, whosoever makes enmity with Hasan and Hussain does so with me and whosoever has animosity with me he has so with Allah. So fear Allah and avoid fighting with me. If you are true believers then think what your answer to Allah Ta’ala will be? And what face will you show to the beloved RasoolAllah Sallallahu Alaihi wa Sallam? O you who have destroyed the family of RasoolAllah SallAllahu Alaihi wa Sallam, just ponder over your fate. O disloyal ones! You invited me to come over and to help you against a tyrant and now when I have arrived you are turning your backs on me. O oppressors! You have destroyed my family and killed my dear ones, and now want to kill me. Just think who am I? Whose grandson am I? Who are my parents? You still have chance, drop the idea of killing me and save yourselves from the fire of Hell. There was chaos in the enemy camp. One of them shouted, ‘O Hussain, you have only one choice, either give your hand in the hand of Yazeed or be ready to die.’ Imam Hussain (RadiAllahu Anhu) replied, ‘O treacherous ones, I knew you would not listen, as your hearts have been sealed and your Islamic spirit is dead. I only spoke to justify my position so that you cannot say on the Day of Judgement that you were not aware. Alhamdulillah, I have done my duty. As far as Yazeed is concerned, I will never submit myself to a wicked oppressor. Now if you have made up your mind then send your chosen one to fight me.’ Thus, Amr bin Sa’ad called the fighters who were saved to fight Imam Hussain. First to go was a famous wrestler from Syria, Tameem bin Qahtabah. He came boasting about his strength and skills but in just one blow from his sword Zulfiqar, he was left to die on the ground. Badr bin Suhail was watching all this. He started swearing at the other fighters saying they were cowards and did not know how to fight. He sent one of his sons to fight. Imam Hussain (RadiAllahu Anhu) said, ‘It would be better if your boasting father came to fight so he would not have to see his son dying’. In no time Imam sent him into Hell. Badr could not bear to see this state of his son and leaped forward to attack Imam Hussain with his spear. Imam defended his attack. Badr then removed his sword and attacked. Imam again saved his attack and launched such a mighty blow that Badr’s head went rolling like a football. One after the other they all came to try their luck but none could withstand the power of Zulfiqar. The bodies kept piling up. There was a roar in the camps of the enemy that if the son of the lion of Allah continues in this way then none of us will survive. Cowards then decided to attack from all sides. Imam Hussain (RadiAllahu Anhu) was surrounded from all sides by bare swords thirsty of his blood. But when the Zulfiqar came into action, the heads of the enemies dropped like leaves on the ground.